According to a story from The Wisconsin State Journal, a man who robbed an East Side credit union in Madison said he did so because he had over $250,000 in student debt. The man wore a Bucky Badger hate during the robbery and told police that he wants to be sent to prison. The suspect, Randall H. Hubatch, is from Madison and was charged with armed robbery on Friday for the incident, which took place on January 11 at Summit Credit Union on Thierer Road. 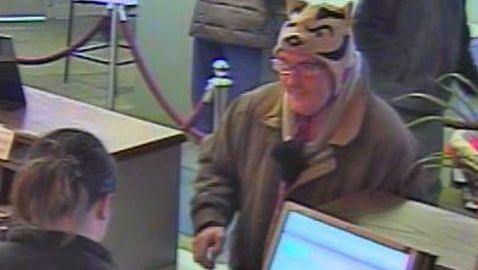 Hubatch is 49 and what made the robbery so interesting is that he wore the Bucky Badger hat, which would enable people to pick him out of a crowd. He also told officers that he is “slightly autistic” and diabetic. He also said that he cannot afford his medication. A directory on the internet for UW-Madison names Hubatch as a lead custodian at Union South on the UW-Madison campus. John Lucas, a spokesman for the school, said that Hubatch earned a bachelor’s degree in English in 1998 and a law degree from the school in 2004. With a plastic Star Wars toy gun in his pocket, Hubatch told police, he wrote a note demanding $500 and told a teller not to stall because he didn’t want to hurt anyone. He said he also wrote that he would shoot anyone who followed him to his car, noting to Helgren that he put in the reference to the car to throw people off because he doesn’t have a car. He told Helgren he has $250,000 in student loans that he can’t pay. He said he asked for $500 because he thought Summit would not care about $500 and would simply give it to him.